Where are the Sawyers going next? How is your place in Egypt? When are you going back to Egypt? What are you doing right now? 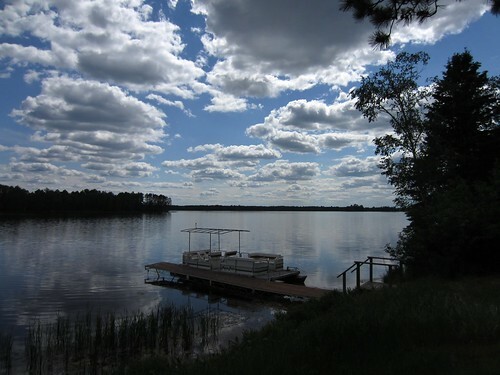 We spend most summers right here in the Twin Cities area, dividing our time between our home in Bloomington and the cabin near Gordon in northwest Wisconsin. This, after all, is where many Americans come to vacation. Land of 10,000 Lakes. Mild weather. Fishing. Canoeing. Golfing. We are looking into a fall trip to Romania. Think Transylvania. Maybe, maybe not. If we go it will probably be in October. But the questions we are most often asked this summer are about the Cairo Condo. It is just fine. In fact, we had "city gas" installed recently. This is one of the benefits of having many good friends in Cairo who look out for things in our absence. If you were not aware of it before, we used bottled propane for cooking. 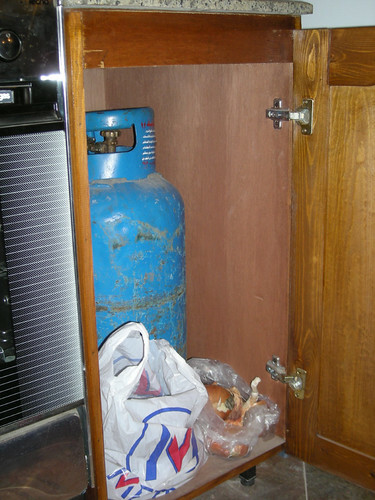 Adding city gas will get us some cabinet space and eliminate the hassle involved when the gas bottle runs low. But most people really want to know about the political situation in Egypt. So here are a few links to some websites with more information. By 2007, Sandmonkey’s thought-provoking blog was also provoking authorities. His commitment to political and human rights and his staunch opposition to police abuse, alongside his street activism, put him on the state security radar. The fact that he was widely read internationally didn’t help things either. How about the Egyptian economy? With about 14 million tourists arriving in 2010 and somewhere around 10-14 % of the economy consisting of tourist spending, things have been bad. This article says that Europe's largest tour operator is only experiencing a 14% reduction in bookings to Egypt this summer versus last. Our friends suggest the total is still down quite a bit more than that. And the political situation? Well, elections are yet to come. Both parliamentary and presidential elections will be held this fall. Most eyes are on the role that the Muslim Brotherhood may play in a future government. 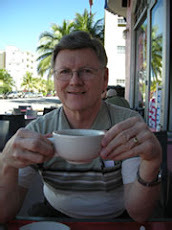 Michael Totten is by far the best journalist covering the middle east over the past ten years. He is an independent journalist from Portland, Oregon. This blog post consists of his interview, in Cairo, with a high-ranking member of the Muslim Brotherhood. Read it and you will learn quite a bit about the brotherhood. The United States is viewed less favorably in much of the Arab world today than it was during the final year of the Bush administration, and President Obama is less popular in the region than Iranian president Mahmoud Ahmadinejad, according to a poll released today by the Arab American Institute, a nonpartisan research and advocacy group. ...In 2008, the final year of the Bush administration, only 9 percent of Egyptians had a favorable attitude towards the United States. A year later, after Obama took office, that number jumped to 30 percent. But now it has plummeted to just 5 percent of Egyptians who view the United States favorably. As I always remind folks though, Egyptians feel much differently about Americans than about the American government. We plan to return to Cairo in January, insha'Allah.